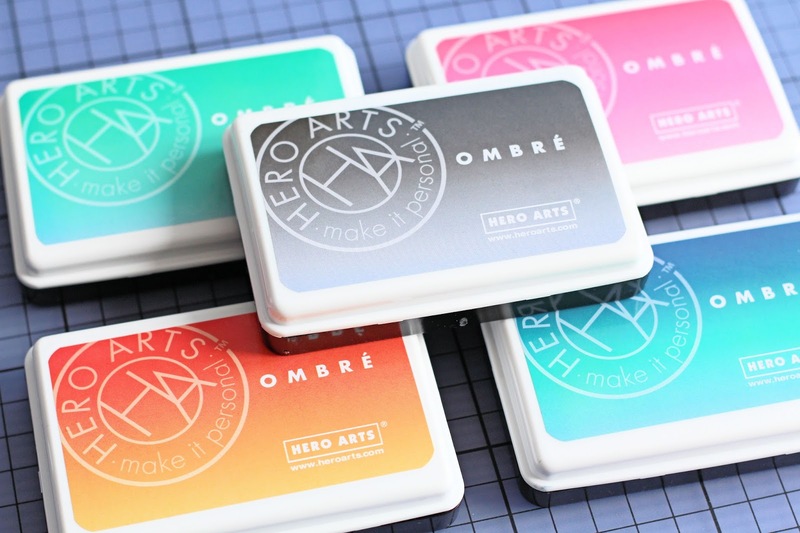 Hello there, after sharing my last haul with you I had some requests to do a review on the new Hero Arts Ombre Ink Pads. This is an initial review as I haven't used them much yet but here I am sharing what I think. (If you want to see the video without the writing please feel free to scroll down see that). 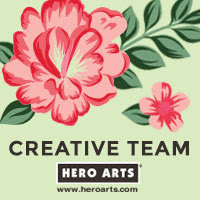 The ombre look is very popular in the crafting world right now and Hero Arts have come out with an ink pad that can help you achieve that look in your stamped images. Up to now, to get this look, you would have had to use the rock and roll technique with multiple ink pads. 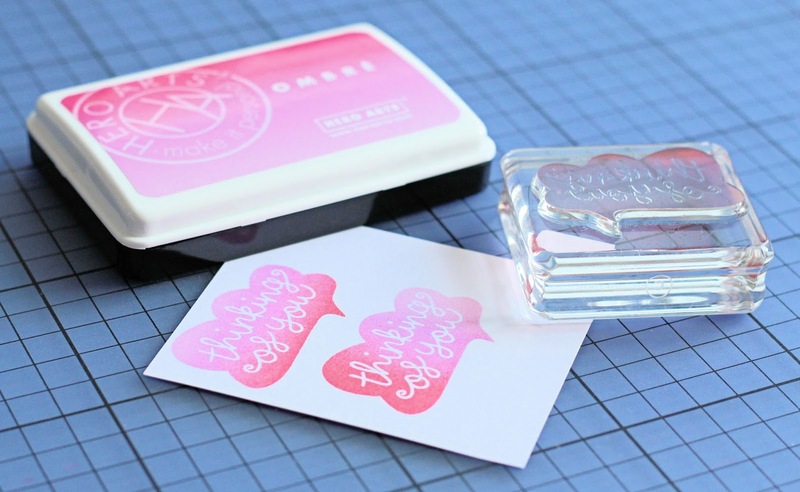 These ink pads let you achieve that look with just the one ink pad. I have to admit, these have taken me a while to get used to. I didn't get particularly nice results the first time I used them. They may have been slightly dry on the top, or it may have just been how I was stamping/inking with them. I share more about that in my video. So, my overall initial thoughts are ... they are nice inks, although may take a little while to get used to. They are great in that you do not have to have a lot of different ink pads to achieve this look - this cuts down on cost but also on storage. If you already have a lot of ink pads then you may be able to achieve this look using the rock and roll technique with what you already have. I will admit that I got caught up in the hype of these. If I had waited before purchasing, would I have bought them? I will never really know that answer. I like having new products to play with but I don't tend to use the multiple inking technique that often. I may do now though since I have the inks! One thing that is likely though, I probably won't buy any more colours of these. I don't think that will be necessary for my needs and these ones give a good colour palette I think. I am, however, looking forward to using them more and see what I can do with them. I got mine from Make The Day Special and although they are out of stock at the moment, I believe they are hoping to get them back in, in a week or two. I hope that has helped some of you and I would love to hear your thoughts on them if you have used them. Thanks so much for visiting me today. 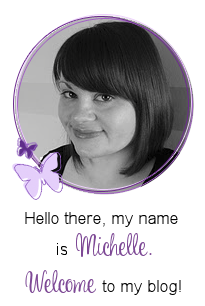 Thank you Michelle, for a really honest review. I've not got much in the way of ink pads and I think for me, cost precludes them at present. I did really like the result for the butterfly, so it's something to think about. You mention the rock n roll technique, have you got a video or could you recommend one for me? Thanks again. Your videos are really helpful! Thanks for the review, Michelle. I haven't tried these inks yet, but I've been curious about them. Your video was really helpful.